The month of February means Valentine’s Day and during this time of year we want to bring awareness to heart health. A Healthy Heart is a healthy YOU! So how do we ensure excellent cardiovascular health?! Whether it is taking daily walks, doing yoga, going to the gym, sitting in the sauna, dancing, or participating in taekwondo, we all NEED exercise to support a healthy heart. Be aware of how much you sit. Walk to work, park further away in the parking lot, take stairs instead of elevators, invest in an adjustable desk if you have desk job. Simple tasks such as these can help significantly in your overall health and wellbeing. Watch what you eat! Yes, it is difficult because we live in the United States, but it is easily the most important aspect of your health. Limit your sugar intake, eliminate your refined carbohydrate consumption (white bread, cookies, crackers, pastas, etc…), try to avoid processed and prepackaged food and meats, and GET RID of soda! Choose eggs over French toast and a chicken breast over a grilled cheese sandwich. We should be eating foods rich in Omegas such as Salmon and Chia Seeds. Pick nutrient dense foods such as Avocados, Walnuts, and Leafy Green Vegetables! Not only will you maintain a healthy weight, but you will look better, FEEL better, and live longer. Let’s go! Your family and friends need you! ??? BUT WHAT SHOULD I TAKE ??? The list goes on and on but supplementing vitamins and minerals in your daily routine should be an important part of your day. There are a plethora of herbs that will support your cardiovascular health. Have a question? Pick up the phone and call one of our friendly staff members to discuss what is important. To name a few important nutrients for heart health, we recommend Garlic, Turmeric, Fish Oil, and Vitamins C, D, and E! These may help support your immune system, reduce inflammation (the culprit to heart disease), and prevent the formation of plaque and atherosclerosis. Therefore, we recommend our #33S Doctor Formulated Supplement to help meet your daily needs. Backed by evidence and supported by the latest research, we have designed this formula with you in mind. A unique formula blend of essential nutrients to support, protect, and maintain a healthy heart! Try this supplement out during heart healthy month at a special discounted rate. We not only want to help you achieve your health and fitness goals, but we want to educate you and help guide you through this lifetime practice. We want to be a resource for YOU! We are stronger together and LOVE you with all our HEART! Although it is not the cheapest oil to purchase, clary sage oil has some great benefits. 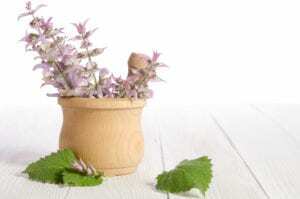 Clary Sage is good for easing depression, relieving female problems, and help clear a congested complexion. In Jamaica, it was used amongst the local people for cleaning and cooling ulcers and for inflammation of the eyes. Clary Sage is native to southern Europe. It is a stout biennial herb that grows to be 3 feet tall. It has large hairy leaves and small white or blue flowers. 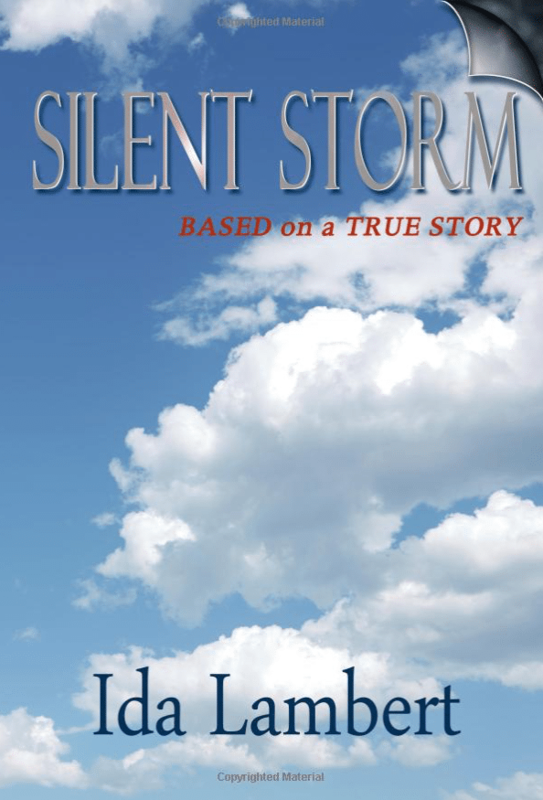 The oil is extracted by steam distillation from the flowering tops and leaves. It is a pale yellowy greenish color with a sweet nutty scent and may blend well with juniper, lavender, geranium, sandalwood pine, and frankincense to name a few. Clary sage is calming to the nervous system, particularly in cases of depression, stress, insomnia and deep seated tension. Furthermore it is a good tonic for the womb and female functions in general, such as painful periods, menstruation and relaxation during labor, thus encouraging a less painful birth. During menopause, clary sage oil can help reduce hot flushes, night sweats, palpitations, irritability, as well as headaches and dizziness. It is also good for muscle pains, digestive disorders, kidney diseases and the cooling of inflammation of the skin. Blend with 1 tblsp (15ml) of Almond or Grapeseed Oil. Give a relaxing massage particularly for back, neck and shoulders. 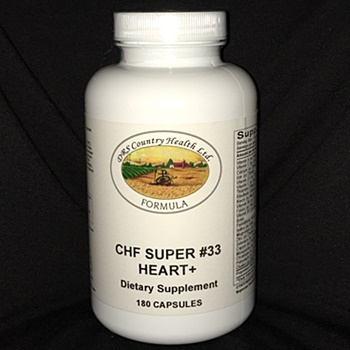 CHF #33+ A special formulation utilizing a multiplicity of micronutrients, for a balanced nutritional support for the Heart and Vascular system. 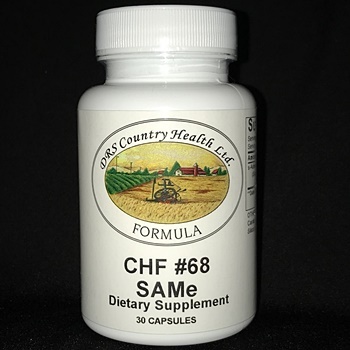 CHF #68 May help ease depression, restore arthritic joints, and may help cleanse the liver.